PETERBOROUGH are delighted to offer a wide range of sponsorship packages to suit all budgets for the 2019 season. Opportunities to back Panthers in their quest for Premier League honours start from as little as £10. Our available options are listed below . . . Celebrate that special occasion by watching Panthers race in style . . .
(All packages included buffet, hot and cold refreshment, pit viewing and opportunity to meet the Panthers team, a visit to the centre green, choosing and presenting the rider of the night accolade, a signed team picture and a bottle of fizz). Your business can provide the backdrop for a season of thrilling racing at the East of England Showground . . .
- New sponsors - £400 inc VAT. (Sponsors need to provide wording and logo for creation of banners). Get behind Panthers in print for. . .
(Sponsors need to provide wording and logo for creation of adverts). Don’t miss out on the chance to put your name to a race at the East of England Arena . . .
(Sponsors need to provide wording and logo to appear next to their chosen heat). What a bargain! 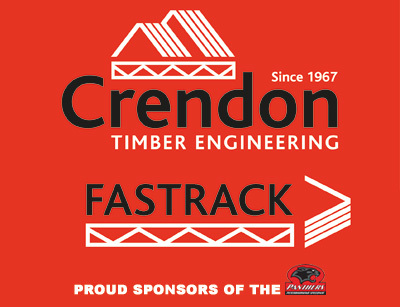 Just £10 to show your support for Panthers by featuring in our 'Brick Wall' page of messages in the racenight programme . . .
- Price - £10 for the whole season. Includes brief message of your choice. Crendon Timber Engineering, Teng Tools, Chatteris butchers, Milesey, PPSC,Oakfield uk. Peterborough Speedway are indebted to all their sponsors and would ask our supporters to use their services wherever possible. Don't forget to let them know you are supporting them because they support the Peterborough Panthers!